For the fifth straight year, locals and visiting cinephiles will be treated to Hollywood classics on the big screen when Robert Osborne’s Classic Film Festival comes to town. The event will be held March 19-22, 2009 at The Classic Center in downtown Athens, Georgia. Robert Osborne, the primetime host of Turner Classic Movies and a columnist for The Hollywood Reporter, has picked eight classic films that he says, "represent the breadth and variety of classic cinema from the 1930s to the 1980s." The 2009 festival selections are: Goldfinger (1964), King Kong (1933), Rear Window (1954), Funny Girl (1968), Sunset Boulevard (1950), For Your Consideration (2006), The Godfather (1972), and E.T. : The Extra-Terrestrial (1982). Nate Kohn, festival executive producer and professor of telecommunications in the Grady College of Journalism and Mass Communication at the University of Georgia, is thrilled by the list. "Robert is the world's foremost authority on the Academy Awards, and he worked hard to put together this dynamic program. His commitment to the success of our festival is something we're very proud of." This year Robert Osborne will share his hosting duties with acclaimed actor and former film festival guest, Fred Willard, who will host the Saturday and Sunday films. Willard's work includes a part in every movie directed by Christopher Guest, including 2009 festival selection For Your Consideration. Festival director Pamela Kohn is looking forward to this year’s format. "We are fortunate to have Fred Willard joining us this year,” she said. 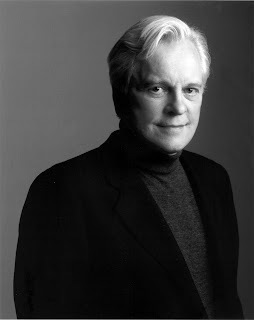 “He enjoyed the festival so much as a guest in 2007, and he is excited to come back in this expanded role.” Past festivals have brought guests such as Jane Powell, Louise Fletcher, Maximilian Schell, Pia Lindstrom, Patricia Neal, Parker Posey and Mickey Rooney to Athens to discuss their films with Osborne on stage after the screenings. Kohn hopes that the upcoming festival will feature guests of similar stature. For the three-and-a-half day festival, the 2,000-seat Classic Center theatre will be transformed into a world-class movie palace with the installation of a 60-foot motion picture screen and state-of-the-art 35 mm projection and sound systems. Most prints will be pristine archival 35 mm prints from many of the major studios. "It's an exciting adventure to see these films the way they were meant to be seen," explained Osborne. "The big screen gives a different dimension and vitality to them." In addition to the film showings, the festival will feature a panel discussion hosted by Osborne, which is free and open to the public. Panelists will include University of Georgia scholars, festival guests, artists, critics and others. 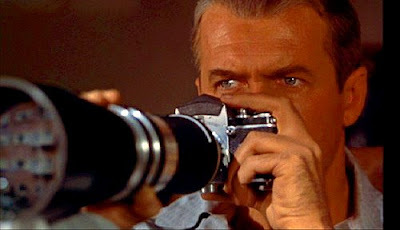 The panel topic this year is “Film Festival Fare: Independent Filmmaking and its Influence on Hollywood.” All films, with the exception of the free Friday matinee showing of Rear Window, will require a paid ticket for admission. In celebration of the festival's 5th-year anniversary, children 12 and under will receive a special ticket price of $5 for E.T. Passes and tickets for individual films are available at The Classic Center box office, online, or by calling (800) 918-6393. Prices are $60 for a pass to all films and panel discussions or $45 with valid student identification. A limited number of passes that include the festival's Saturday brunch will be available for $90 to the general public and $75 with valid student or UGA Alumni Association identification. Individual film tickets are $10, or $8 for students and alumni association members. Robert Osborne's Classic Film Festival is an annual non-profit event of the University of Georgia's Grady College of Journalism and Mass Communication. For more information, please visit http://www.robertosbornefilmfestival.com/. Please note that films on the list are subject to change.